Environmental Coordinator/Engineer/Certified Waste Water Operator, D.G. Yuengling & Son, Inc.
Michael Misstishin received his B.S. Degree in Environmental Engineering from the Penn State University and is employed with D. G. Yuengling & Son, Inc. at its Pennsylvania brewery since 2014. Mr. Misstishin has also been certified with the Commonwealth of Pennsylvania as a Waste Water Operator. 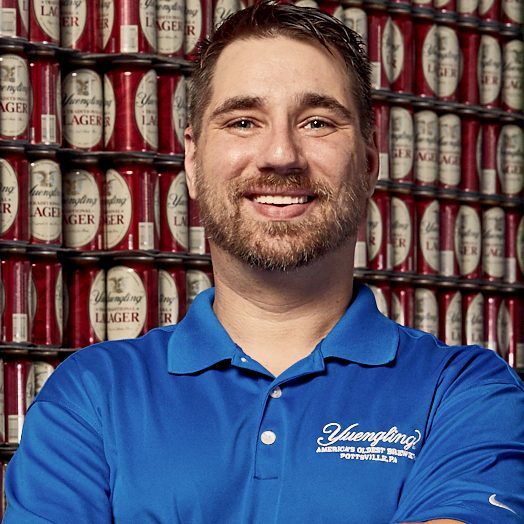 At Yuengling, Mr. Misstishin is responsible for developing and implementing an Environmental Management System which brought the company into compliance with local, state and federal regulations. His work duties include environmental compliance and reporting, and managing the day to day operations of the Pottsville and Mill Creek breweries waste water pre-treatment facilities. Misstishin also is an instructor at the University of the Sciences (USciences) in Philadelphia where he lectures on Incoming Water and Waste Water. Mr. Misstishin also guest lectures at Penn State University, School of Engineering on Residual Waste Management, and Industrial Waste Water Treatment.